Well thank you VERY much BookfessionsChica for nominating us for the Liebster Award! We are ever so grateful for the love! The Liebster Award is a blogging award that is passed on by bloggers to blogs with less than 200 followers, a bit of love sharing really and a great way to find new blogs to read! 3. 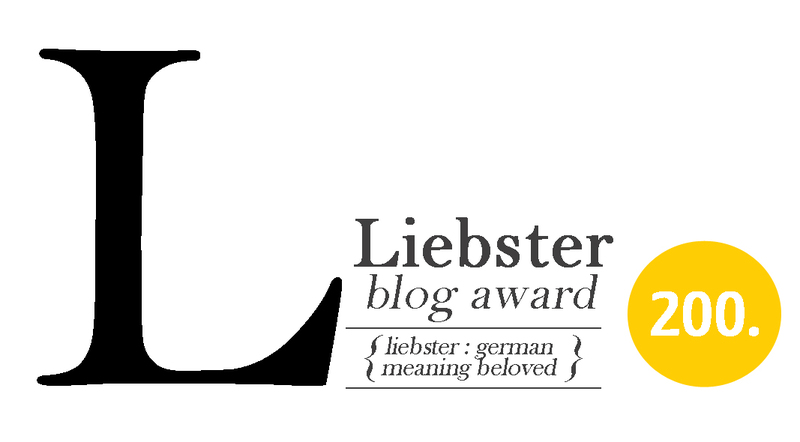 Nominate 11 other blogs for the Liebster Blog Award and include link to their blog. Oh and don’t forget to thank those who nominated you! 4) We both love Harry Potter with a passion! 6) If we had to pick villains, Kat would be either Bellatrix Lestrange or Bane and Rach would be either Hades or Magneto. 7) If we could only eat one food for the rest of our lives, Rach would eat pizza and Kat would eat cereal. 8) Our favourite on screen couples are: Kat: Blair and Chuck (Gossip Girl); Rach: Buffy and Angel. 9) If we won millions the first thing we’d do is: Rach – LOTR tour round New Zealand; Kat – buy lots from Signature Shop. 11) We both love Robert Downey Jr! 1) If you could meet any author/person you admire, and ask them only one question, who and what would it be? Kat: As an avid Harry Potter fan, I would have to meet J.K. Rowling mainly to thank her for giving me my biggest hobby; my get away. Firstly I would ask her to sign my books but then on a serious note I would ask her how Ron proposed to Hermione. Rach: I think this would have to be J.K Rowling purely because of the amount of joy I’ve got out of reading this series. In regards to what I would ask her, I would probably ask the age old question of whether she would ever delve back into that world, or ask her to reveal a piece of information she had not shared with fans. 2) Why did you decide to start your blog, and what is your favourite thing about it? Kat: Fresh out of university, Rach and I wanted to be able to write how we wanted to about what we wanted to, not about the differences between thou and thee or the themes running through Romeo and Juliet. So one random day basking in post university life (days after graduation) OBOB was born. 3) Which book has been with you to the most places? Kat: Harry Potter. It is the only book I read over and over again. The amount of holidays it has accompanied me on, they are potentially better travelled than some humans. Rach: The Harry Potter series – I mean I wrote my dissertation on it, it’s been on a journey with me. 4) Is there a book that you once gave up on that you would consider revisiting, and why? Rach: Lord of the Rings Trilogy –I believe I tried to start reading it after I fell in love with the movie adaptations. I got through the first 4 chapters, put it down and didn’t pick it up back up again. It’s still firmly on my list to read. Kat: So far I have read the first two book in the A Song of Fire and Ice series (Game of Thrones) and I would really like to carry on to the end – they are just so long that it feels like I am reading them forever. 5) Something that you learned recently. Kat: I REALLY love cheese and tomato toasties. Rach: I’m secretly a bit of a hoarder. 6) Is there a book or piece of writing that impacted your behaviour or actions after reading it? Rach: I’m not one for being overly religious but I would have to say the Bible. Whenever I feel lost or wondering what to do about something, I look to it for inspiration and it always seems to point me in the right direction. Kat: When I read Malorie Blackman’s Noughts and Crosses saga I was really moved in terms of how different my life would be if I hadn’t been born into the family I was born into, or if things such as the death penalty were still in use in this country. It made me think how lucky I am to be where I am today. 8) Do you find that you dread or anticipate movie adaptations of books? Rach: I mostly anticipate movie adaptations but I feel it depends on whether you’ve read the book series first. One thing that movie adaptations give me is the opportunity to find more book series to read and become a fan of. Even though I know the storyline, I enjoy letting my imagination flow whilst reading the book. Having said that, I always looked forward to the movie adaptations of Harry Potter just to see what they did with the text. I would always look forward to the movies, but then nit-pick at what they didn’t include AFTER the film. Kat: It really depends on how much I’ve loved the book. I’m always worried for the first one, and then I worry even more when I hear rumours that they haven’t stuck to the storyline. I know it’s an adaptation but I feel if you’re going along with most of the story you may as well stay true to it all. 9) Has a character in a book or film ever reminded you of someone you know? Kat: Nope, I can’t say they have. Rach: No, not anyone I can think of strongly. However, there are often characters that I wish were real and that I knew, or that I could be like. 10) “We read to know we are not alone.” (C.S. Lewis) Agree or disagree? In unison: We both strongly disagree. 11) If the zombie apocalypse was at hand, and you could only take five books with you before you run for it, which would you choose and why? Rach: The entire HP series (you can see a pattern emerging with this post), Blindsighted by Karin Slaughter and Much Ado About Nothing by William Shakespeare. Kat: The Harry Potter series – I think that’s fairly obvious though. 1) If you could have dinner with 5 well known figures (dead or alive) who would they be? 2) Which superhero/villain would you be and why? 3) What’s your favourite quote? 4) Why did decide to start your blog? 6) Who’s your Sherlock Holmes: Robert Downey Jr or Benedict Cumberbatch? 7) Who’s your Doctor Who: Matt Smith or David Tennant? 9) Book/film/TV series that has had the most impact on you? 10) What are you most looking forward to: Star Wars Episode 7 or Avengers 2? 11) Hard back book or Kindle?